This is a guest post by Thomas Sinfield, a writer for Granny-Flats.com.au. If you are living in the northern hemisphere, then chances are that things are starting to warm up as fall gets ready to transition into summer - but is your yard ready for summer? A lot of people get lazy with their backyard over winter, and if you are in an area that snows then there really isn't anything you can do, but right now is the perfect time to make sure that your outdoor area is perfect for entertaining, bbq's and enjoying the perfect summer weather. The last thing you want to do is just jump haphazardly in a range of different odd jobs around the house. Before you even think about picking up a tool or buying any new plants, the first thing you want to do is stop, take stock of your yard and plan out exactly what you want to do. Chances are that you may not have done a whole lot of yard work over the winter months, so make sure you get your mower blades sharpened, have enough string for your whipper snipper and service all your tools to make sure they are working and safe - before you try to use them. Now is the time to start fixing any problems you may have put off last summer, or things that broke over the winter. Before you start working on your lawns and gardens, fix that broken fence or clothes line, replace broken sprinkler heads, or pull up those cracked pavers you've been planning to replace for years. 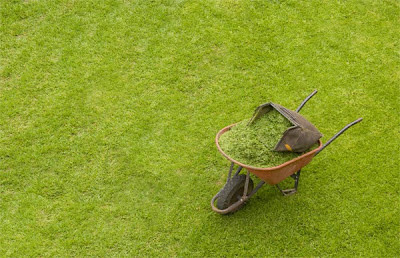 To give your lawn the best chance of being an even green carpet throughout summer, there are a couple of things you will want to do. The most important one is to aerate your lawn with a pitch fork or aerator, then a good quality fertilizer and grass seed (for any patchy areas). And now that everything else is sorted out, it's time to look at preparing your garden beds for summer. First you will want to clear our any weeds and plants that you do not want and consider clearing the old bark/mulch and add some additional soil and fertilizer for the soon to be added plants. Finally, you want to start adding some new life into your garden beds. Whether you are starting from scratch or just adding some new annuals, you will want to make sure that your plants work well (and look great) together. Finish things off with some new mulch. Hopefully these practical steps will get you thinking about your yard and how you can make it the envy of your friends and neighbours. Get everything organised now so that you can start firing up the bbq and really enjoy summer!